After what seemed like forever, Justin Bieber was arrested today by Miami police for a DUI, being under the influence of drugs, resisting arrest, and driving with an expired driver's license. Oh, there's also that whole bit about how he tried to block off a residential street so he could turn it into a drag racing strip, but if I went on and on about all of his offenses, I wouldn't have time to finish this whole article. Let's just say: Bieber messed up big time, and unlike the time he allegedly egged a neighbor's house and caused $20,000 of damage to the property, he was caught in the act and promptly sent off to the police station in handcuffs. While it's not clear at this moment whether or not the charges could result in deportation for the 20 year old pop star, it is clear that Biebz is in some serious trouble regardless. Case-in-point: Justin Bieber appeared in court via webcam today where a judge set his bond at $2,500, citing Bieber's DUI, the fact that he was under the influence of drugs, and resisting arrest. 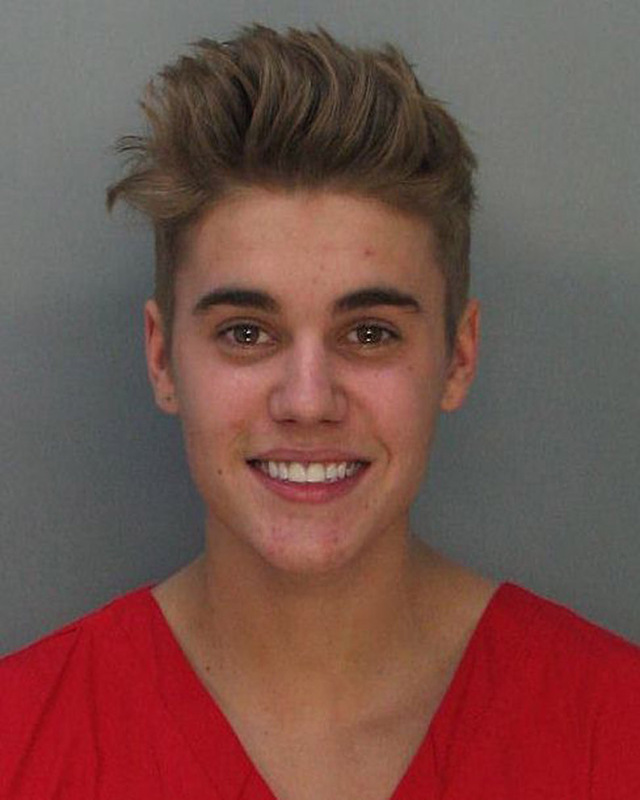 Bieber has reportedly been released on bond, and his case should proceed on soon.